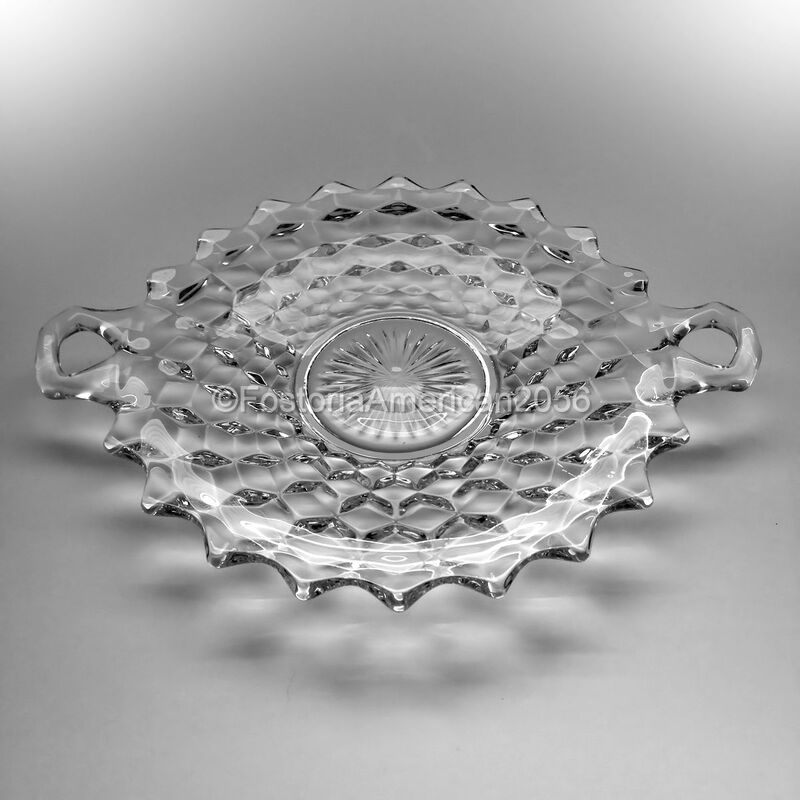 The Fostoria American pattern produced several different types of Cake Stands, Salvers, Trays and Plates. 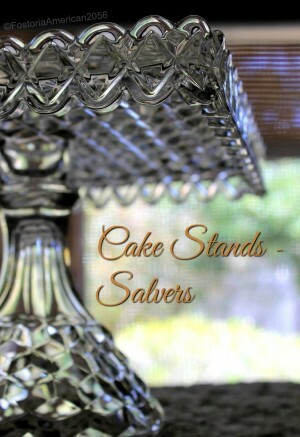 While this list is not all-inclusive, it does include the majority of pieces I consider to be some type of a cake server. The Fostoria Glass Company also made Tid-Bit Sets, which would be perfect for serving a variety of other food items. 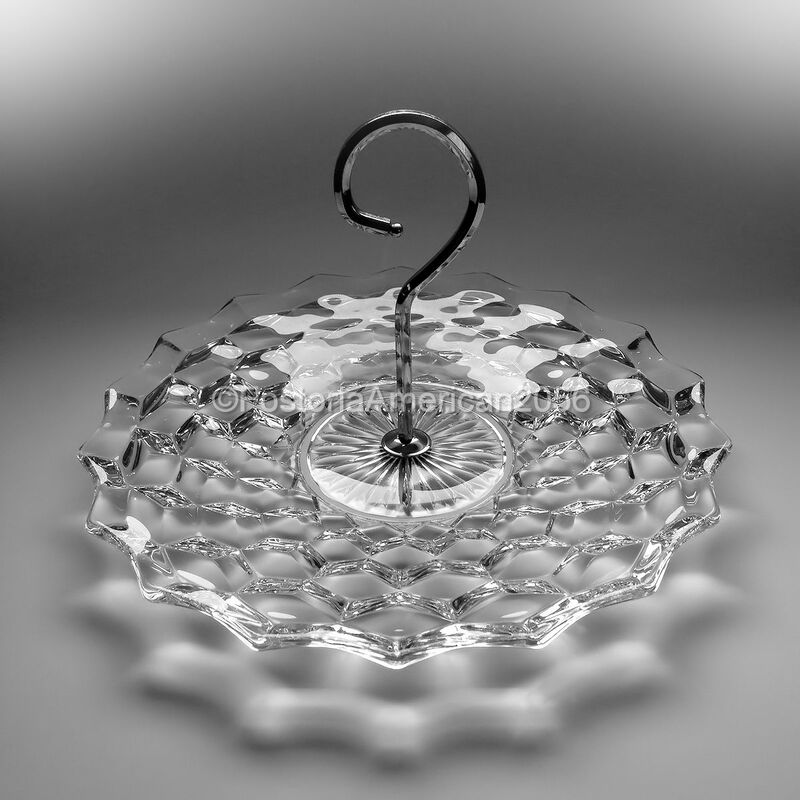 Other items that could be used for serving cake (such as Torte Plates) were also made; however, information about those type of items are listed in the Plates category. If the official name of the piece did not include the words “Cake” or “Salver”, then those items will be posted in another appropriate category. If you are interested in purchasing similar Fostoria American items, please click the following sponsored link for available Cake Servers on eBay.